Sunny day today. So that means...Holographic! 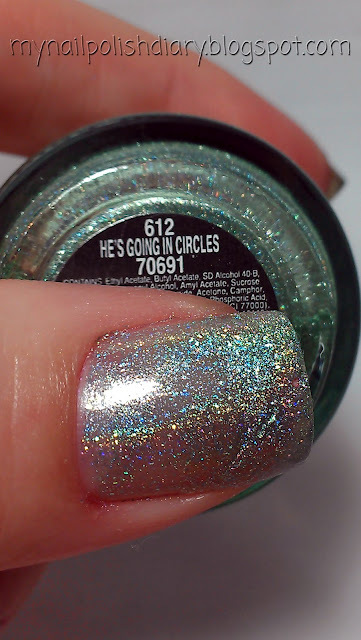 China Glaze He's Going In Circles from the 2009 Kaleidoscope Collection is a sea foam green holographic. It's gorgeous. The holographic effect is stunning both in artificial and natural lighting. This is the reason I prefer the Kaleidoscope collection over the OMG collection. Scattered holographics for me, yep yep yep! That's so pretty! I only have one of the Kaleidescope collection but if I ever run into this one, I'm picking it up! It looks gorgeous on you! I have all but one of the Kaleidoscope collection now. It's My Turn eludes me. One day thought I'll get it! I love them all really, but Tickle My Triangle is my favorite. Love that pink! They're all stunning though. Thanks Carly! 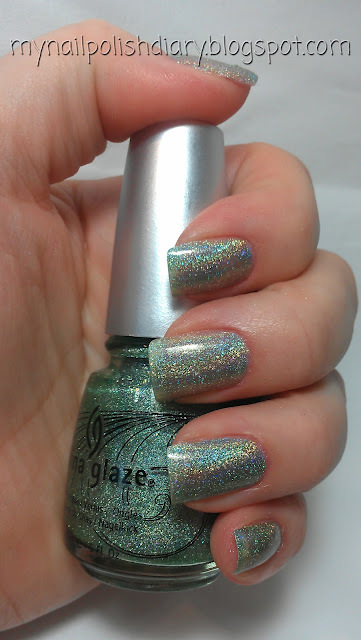 I have this one in my untrieds, It will be the next mani on my nails asap!